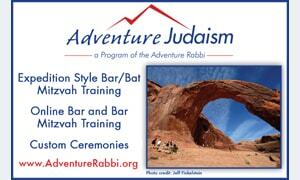 On Saturday, June 2nd 2018, Samantha Kowitt will be called to the Torah as a Bat Mitzvah with the Adventure Rabbi. On Saturday, April 28, 2018, Gemma Sutton will be called to the Torah as a Bat Mitzvah at Congregation Har HaShem. On Saturday, April 21, 2018, Della Baker-Rosenthal will be called to the Torah as a Bat Mitzvah at Congregation Har HaShem.